We live in a world of stories; yet few of us pause to ask what stories actually are, why we consume them so avidly, and what they do for story makers and their audiences. This book focuses on the experiences that good stories generate: feelings of purposeful involvement, elevation, temporary loss of self, vicarious emotion, and relief of tension. The author examines what drives writers to create stories and why readers fall under their spell; why some children grow up to be writers; and how the capacity for creating and comprehending stories develops from infancy right through into old age. Entranced by Story applies recent research on brain function to literary examples ranging from the Iliad and Wuthering Heights to Harold and the Purple Crayon, providing a groundbreaking exploration of the biological and neurological basis of the literary experience. Blending research, theory, and biographical anecdote, the author shows how it is the unique structure of the human brain, with its layering of sophisticated cognitive capacities upon archaic, emotion-driven functions, which best explains the mystery of story. 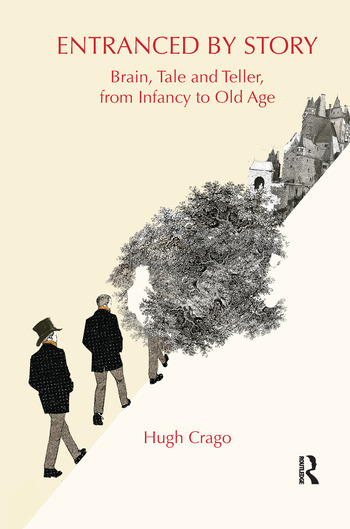 Hugh Crago has taught literature, human development and counselling in Australia, and recently retired as Senior Lecturer in Counselling at the University of Western Sydney. He is co-author of Prelude to Literacy: A Preschool Child's Encounter with Picture and Story, author of A Circle Unbroken: The Hidden Emotional Patterns that Shape Our Lives, and has published widely on children’s literature, social change, welfare policy, family therapy and counsellor training. He currently maintains a private practice in Blackheath, near Sydney, and contributes a regular column to Psychotherapy in Australia magazine.